Once again, Pulitzer Prize-winning columnist Andres Oppenheimer shows his deep understanding of the dramatic changes in Latin America … this book is a must-read. Oppenheimer gives his readers hope for a new vision in Latin America. His investigative skills are considerable and his story sense wonderful. 'Bordering on Chaos' is not merely a 'must-read,' it's a great read. Oppenheimer was fantastic--he set the tone for the 2-day conference and many of the subsequent speakers referred to his speech. 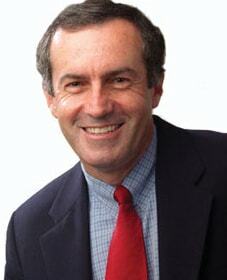 Best-selling author of four books, including Saving the Americas and Basta de Historias, illuminating accounts of the economy of Latin America.